This advanced guide for Town Hall 9 brings all necessary guides, tips, tricks, farming and attack strategies for you to become a great and powerful village. 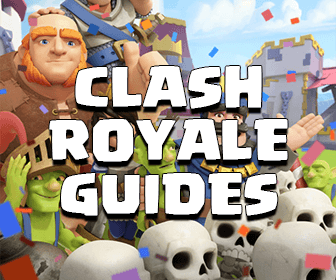 If you are still at Town Hall 8, I strongly recommend you read this guide first, upgrade all core troops (Archers, Barbarians, Wall Breakers, Giants, Wizards, Balloons, Dragons, P.E.K.K.A, Minions, Hog Riders, Golems) and Spells to maxed level , Barbarian Kings to level 10, buildings and at least 2/3 your walls before hitting the upgrade Town Hall button. Farming at Town Hall 9 is much harder. If you don’t do these things first, you will have a lot of hard days at TH9 stage. While your builder is upgrading the Town Hall, your only job now is just farming and fill all your storage. Normally, I can always find over 300k loot villages at Gold I when I was at Town Hall 9. This is the best place for farming for all Town Hall 9 players. There are a lot of idle villages, maxed Town Hall 7, 8 with full storages there. You can read more about farming range at: Best Ranges for Farming in Clash of Clans. Dark Elixir for upgrading your Heroes all the time. Elixir for upgrading expensive high level troops, spells, Army Camps and Dark Elixir Drills. Once you have upgraded almost building with Elixir, you should focus on both Gold and Dark Elixir at a time. The higher level of Heroes you have, the more loot you can raid. If you just focus on Gold, your Heroes will be weak. If you just focus on Dark Elixir, your storage will always be full, you will need to spend gems to speed up the Heroes upgrading progress and your Defense Buildings will not strong enough to protect the village. If you focus on both 2 resources, you will not have to click Next button as many as focusing on just one, you will save a lot of gold. After everything is done, once again, complete your walls then go to Town Hall 10 lol. This is one of the most popular topic in Clash of Clans. Your farming and rushing progress will depend on how you upgrade your buildings and troops. Laboratory: More troop upgrades, more attack power. Upgrade Laboratory first for level 6 Archers and Barbarians, for boosting your farming speed. You can’t attack other villages If your troops still like TH8’s. Clan Castle: Give you +5 more housing spaces for both farming and defending. Moreover, level 5 Clan Castle can hold Lava Hound and Golem, which is pretty important in Clan Wars. Camps: For more housing spaces for your army, for more powerful and farming successful rate. Heroes: If you have unlimited Dark Elixir, you still need 135 days to upgrade your King to level 30 and 157,5 days for level 30 Queen. We all don’t want to stay at Town Hall 9 for years, so upgrade them all the time! Dark Elixir Drills: With 2 maxed Drills, you can collect 4800 Dark Elixir everyday. Xbows: The new and they core defense of Town Hall 9. Upgrade it as soon as possible! Air Sweeper: Air Attacks at Town Hall 9 are quite popular from Crystal 2. The Air Sweeper will make the battle be much harder. We hate it! Mortars, Wizards Towers: People usually use Barch for farming. With splash damage defense buildings are Mortars and Wizards Towers, you don’t need to worry about Barch. Air Defenses: AD is the key air defense building for all Town Hall levels. Archers Towers, Air Sweepers and Cannons: Upgrade Archers Towers before Cannons because they can attack both Air and Ground troops with higher attack speed and damage. Never upgrade more than 1 of a defense type at a time.If the number of loot you can farm more than you spend everyday and you have a builder left, just spend them all for your walls. Buy the fifth builder as soon as possible If you still don’t have. 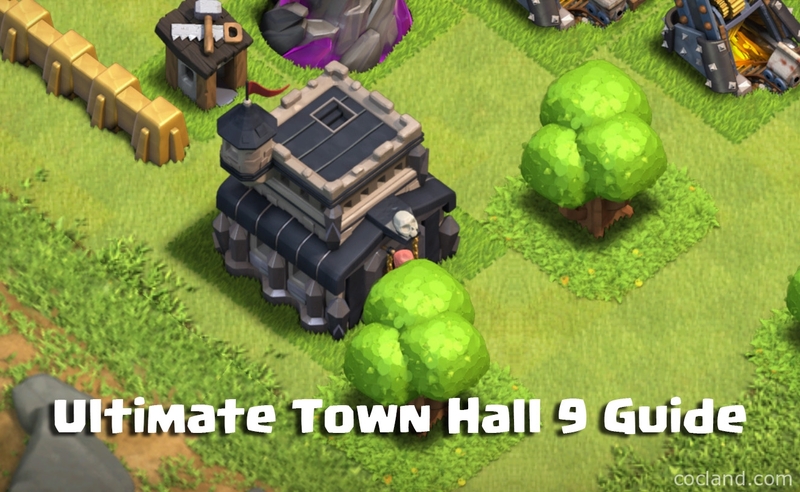 For detailed explanations, you should visit this guide: Town Hall 9 Upgrade Order In-Depth Guide. Best Base Layouts for Town Hall 9? 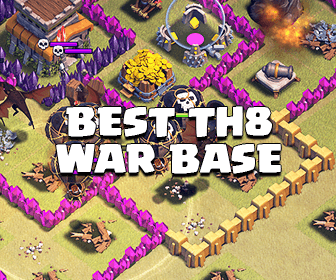 Designing base layouts is one of the most awesome activity in Clash of Clans. If you have free time, I strongly recommend you spend time on designing your own base. It will not work well at the first time, but you will get a lot of experiences by doing that. When you are at Town Hall 9, you can upgrade your Barracks to level 6 and open all troops in Clash of Clans. With all troops, it means you can use all Clash of Clans attack strategies from now. But what are the best ones for Town Hall 9? For Farming, Barch and B.A.M are still the best farming strategies because they are very cheap, effective and just need a small amount of time for training. When you are at late Town Hall 9, when Elixir is not important with you anymore, you can use Balloonion for farming Dark Elixir and Gold. Max TH11 Bowler 3-Star Strategy – Why You Must Upgrade Walls!